When Is a Good Time to Plant Peppers? How Many Peppers Should Grow on a Single Plant? What Is a Guajillo Pepper? Should Green Cayenne Peppers Be Picked? The pepper plant thrives in warm weather, is easy to grow and can be grown indoors or out. If grown indoors, the temperature must be above 70 degrees F for the plant to thrive, but you can grow peppers in containers inside all year. In the northern regions of the country, including the Northeast, Great Lakes and from Idaho to Minnesota, plant green peppers no earlier than the middle of May. In the Northwest, Northern California, the plains states and the southern half of the Great Lakes and the Mid-Atlantic region, begin planting as early as April. In the southern half of the country, from Southern California to Florida, begin planting peppers in late March. These are guidelines only. If the spring is colder than average in your area, don't plant peppers until temperatures have stabilized in the optimum range. Start pepper plants in containers indoors eight to ten weeks before the last frost. Bring them outside when the soil temperature is at least 65 degrees F, and the air temperature is 70 degrees F.
The amount of peppers produced on a single plant fluctuates depending on the pepper variety grown. A bell pepper plant can grow six to eight peppers per plant. Plant peppers with okra. According to the Dallas Morning News, okra shelters peppers from wind and reduces damage to brittle stems. Grow peppers near tomatoes and basil--they require similar growing conditions and thrive when grown together. Group peppers in twos or threes spaced 1 foot apart in between tomato plants. Sow basil between plantings. Tomatoes provide protection from harsh elements, allowing pepper plants to thrive. Place peppers near onions, carrots and eggplant as peppers thrive with these companions. Onions and carrots direct-seeded around pepper plants grow quickly, providing a healthy companion, while eggplant helps shield peppers from winds. Use dill, coriander and buckwheat planted near peppers to reduce damage from European corn borers (ECB). A study published by the University of Delaware Extension concluded that these plants attract predators that destroy egg masses of ECB, thereby reducing insect damage to peppers. Rinse the peppers in cold water. Cut the peppers in half and remove the seeds. Small peppers can be frozen whole. Place the peppers in a vacuum sealer or Ziploc freezer bag. Vacuum and seal the bags or close them by hand. Remove as much air as possible from the bag when sealing it by hand. Place the bagged peppers in the freezer. Cut peppers in half and remove the seeds. Small peppers can be frozen whole. Drop peppers into boiling water to blanch them. Whole peppers should be boiled for 3 minutes. Halved peppers can be boiled for 2 minutes. Remove the peppers from the boiling water and immediately drop them in ice water. Leave them in the ice water for 4 minutes. Drain the water from the peppers. 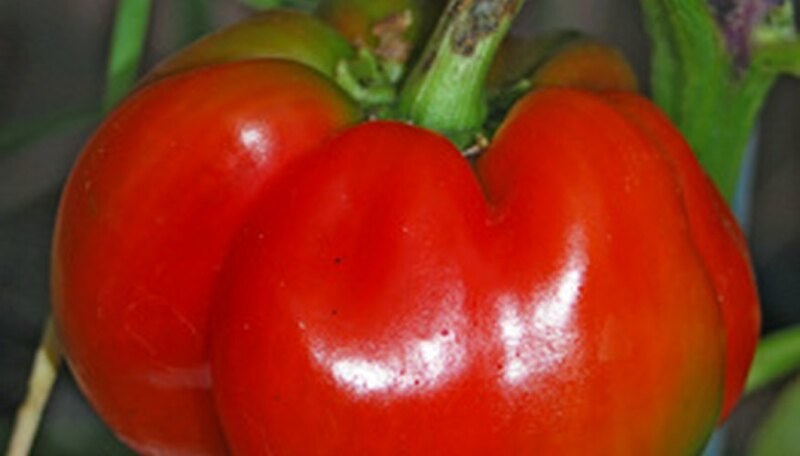 Peppers come in a range of colors, sizes and shapes, with bell peppers offering the widest variety. 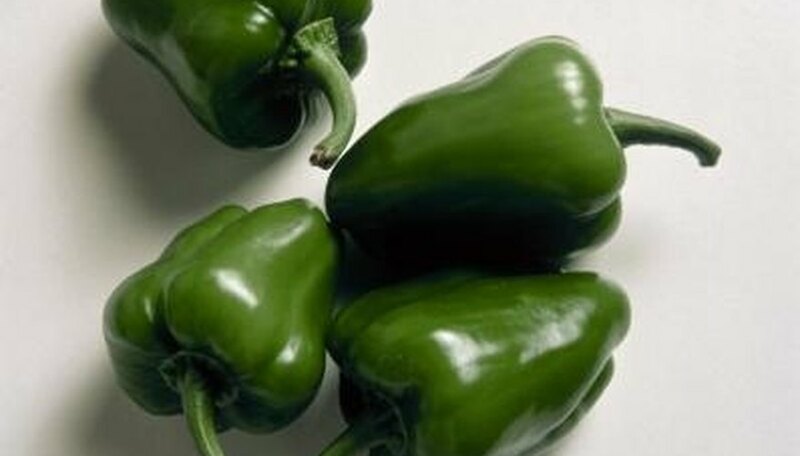 Green peppers are usually bell peppers of a green variety, though red and yellow peppers are green before they mature. All peppers are warm-season crops and require full sun and warm temperatures for growth. The University of Illinois states that peppers do best in quick-draining, moist and fertile soils that offer good nutritional support. Gardeners can mix organic or Miracle-Gro compost into the vegetable garden to give peppers this growing foundation. Like many vegetables, peppers require an even balance of nitrogen, phosphorous and potassium during their growth. Adding nutrition with the right blend of fertilizer, at the right time, increases a pepper plant's growth and eventual harvest. Restricting fertilizer may result in smaller, hotter peppers and a smaller pepper harvest. Miracle-Gro sells a range of vegetable-specific plant foods and fertilizers. The company recommends Miracle-Grow Water Soluble Tomato Plant Food, Shake 'n Feed Continuous Release All Purpose Plant Food, Water Soluble All Purpose Plant Food or Watering Can Singles All Purpose Water Soluble Plant food for vegetables like peppers. Peppers do best with at least two feedings during their growing season. The University of Illinois suggests a starter fertilizer during planting and a second feeding when the first flush of peppers sets. Peppers grow best in soil with a pH range of 6.0 to 6.8. Soil should be well draining and fertilized as needed. Peppers can be grown from seeds indoors at the end of winter. Plant peppers outside after the last sign of frost. Pepper plants require 1 to 1½ feet of space in between plants. Space rows 3 feet apart. Prevent weeds from growing around your pepper plants. Remove weeds by hand or use a hoe to carefully cultivate top layer of soil. Pepper plants should not be allowed to become dry. Supply water as needed during dry periods and add mulch around plants to maintain moisture. Capsicum annuum plants are susceptible to Anthracnose (Colletotrichum), Phytophthora blight (Phytophthora capsici) and white mold (Sclerotinia sclerotiorum). Symptoms might include fruit lesions, general wilting and black sores on the stems and branches. Common bacterial diseases include bacterial leaf spot (Xanthomonas campestris) and bacterial soft rot (Erwinia carotovora). Symptoms include water-soaked spots on the leaves and soft, rotting tissue that turns tan to cream in color. 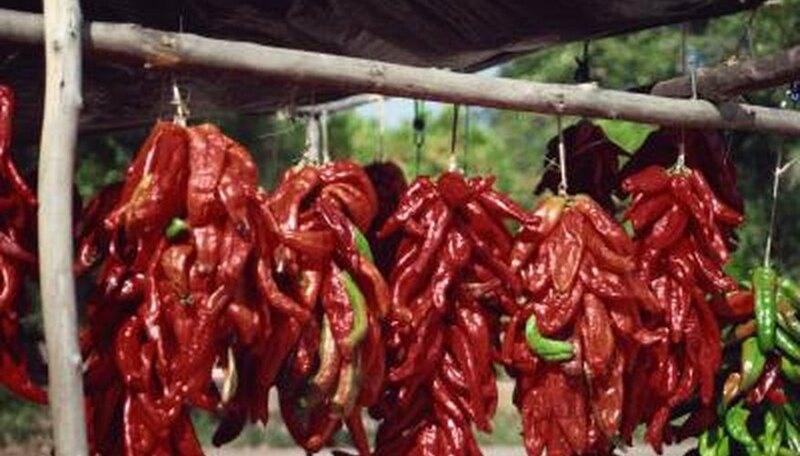 Other common Capsicum annuum plant diseases include blossom-end rot, the pepper mild mottle virus (PMMoV) and the tobacco mosaic virus (TMV). Symptoms include mottled leaves, water-soaked spots on blossom ends and stunted plant growth. Potential pest problems include the pepper weevil, the broad mite, leafminers and aphids. Capsicum annuum plants are also vulnerable to caterpillar-type pests, particularly cutworms, loopers, melon thrips and various armyworms. Capsicum annuum diseases can be controlled by planting disease-free seeds or pest-free pepper plant stock. Fill a grow tray with seed starter mix or a mixture of equal parts potting soil, vermiculite and sand. Plant the pepper seeds one-fourth inch deep in each section of the grow tray, water until moist and cover the tray with plastic wrap. Place the grow tray where it will receive at least six hours of sunlight each day, whether outside or on an interior windowsill. If there is nowhere in or outside your house that gets six hours of sunlight per day, use grow lights on the grow tray. Keep the seeds warm. Pepper seeds will germinate best in temperatures between 75 and 85 degrees. The sunlight should provide sufficient heat during the day, but peppers may need to be moved somewhere that provides extra heat, such as the top of the refrigerator, overnight. Remove the plastic wrap when the seedlings begin to form. If the seedlings stop developing once the plastic is removed, place the entire tray in a large, clear plastic bag and tie the bag airtight to create a greenhouse-type effect. Replant the seedlings in individual containers, filling to one-fourth inch from the top, or directly into the ground for the summer growing season. Keep ground-planted seedlings at least 18 inches apart and apply fertilizer around the base of the plant. Separate the plant with your hands carefully to look for ripe banana peppers--peppers that have turned from green to a bright yellow and are 4 to 8 inches long. Cut the pepper stem 1/2 inch from the top of the pepper with a clean, sharp pair of garden shears or a knife. Allow peppers to fall to the ground until you are done harvesting. Pick up harvested banana peppers from the ground and place them side by side in a wide container. Rinse the peppers under running water. Use banana peppers immediately for best results. Store them in the refrigerator for up to two weeks or freeze them for later use. Find a sunny spot for your Anaheim peppers to grow. Without enough sun, there will be few blooms, and fewer peppers. Amend the soil with plenty of organic material. This will help to retain moisture and provide nutrients throughout the season. Allow for 70 to 90 days before the first fall frost. If you do not have that much time in your region, plan to use row covers or cold frames to extend the season. Plant Anaheim peppers after the soil has warmed and night temperatures no longer drop below 55 degrees. You can use black plastic mulch in order to help heat up the soil. Space peppers 18 to 24 inches apart in rows or a grid layout. Remove the peppers from their pots by squeezing the sides of the container gently. Score any roots which have begun to circle the inside of the pot. Water thoroughly and continue to water throughout the growing season. The goal is to have soil that is consistently moist without being soggy. Find a location that provides at least 6 hours of sunlight daily. Check the area throughout the day to ensure enough sun. This is vital to the production of peppers. Place a tomato cage, stakes or other support around the potted peppers at (or soon after) transplanting. Doing this now prevents damage to the root system as it grows. This will help support the weight of the peppers on the plant. Use a hand trowel or gloved hand to add 1 inch of mulch around each potted pepper plant. Doing this assists in maintaining moisture in the topsoil of the plant. Give the pepper plants water until it leaks from the bottom of the pot. Get rid of any water under the plants container. Stick your finger in the soil about an inch regularly to see if it is dry. Water potted peppers only when it is. Wait 4 weeks or when peppers begin to appear on plants to fertilize. Add a water-soluble fertilizer especially for vegetables to plants. Follow the directions for amounts of fertilizer to supply. Repeat every 2-3 weeks during growing period. Guajillo chilies have a dense, leathery surface and usually come in a dark red/maroon color. They are usually around 3 inches in length. Due to the thickness of their skins, guajillo peppers need to be soaked in water for about 20 minutes to soften the skin before using in recipes. Guajillo peppers should be rubbed with a clean, moist paper towel prior to adding to recipes. This will remove any soil, dust or debris that may have become attached to the skin during the growing process. The seeds and stems of guajillo peppers should be removed before soaking the vegetable. Cut peppers in half and remove the seeds. You should also rinse the inside of the pepper by running it under a tap. According to the Gourmet Sleuth website, the guajillo pepper has a moderate heat rating of between 2 and 4 (where 10 represents the hottest kind of chili). Guajillo peppers also have a fruity, berry-like flavor similar to green tea. Many paste forms of guajillo peppers contain high amounts of preservatives and artificial flavorings, which can change the flavor significantly. 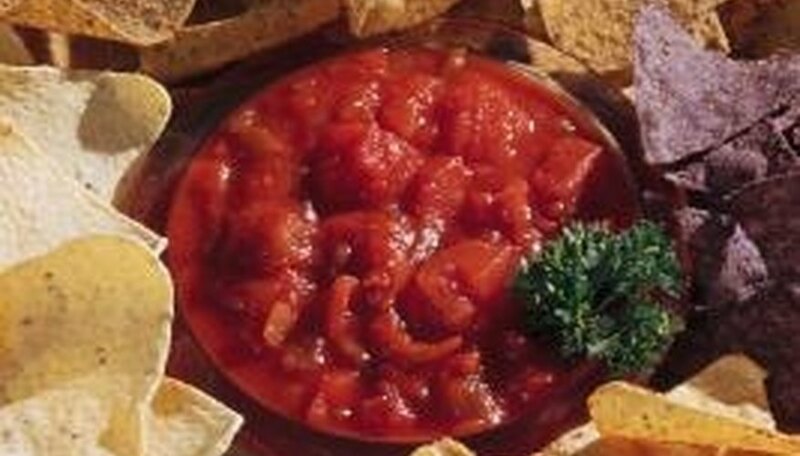 Powdered guajillo is produced by drying out whole guajillo peppers and grinding them down into a fine powder. Although fresh peppers have a fuller, more complex flavor, the dried form is much more convenient and has a long shelf life. Wash the peppers thoroughly, and pat dry with a paper towel. Cut peppers in half and remove the stems and seeds. Slice or dice peppers to the desired size. Place sliced peppers onto a tray in a single layer. Freeze the tray for 30 minutes. Remove peppers from the freezer and place them into plastic freezer bags. Remove as much air as possible from inside the plastic bag and seal. Label and date the bag and return to the freezer. Pick cayenne peppers when they are red, for the hottest flavor. These peppers can also be picked when green, although they will not be as spicy as they are when picked ripe. Peppers can be harvested at any time. Green peppers are usually harvested when peppers are firm, crisp and easily removed. Hot peppers are harvested when peppers are red.